By now, you should know that tossing electronics out with the trash is not a good idea. They should always be recycled at a certified facility. However, the occasional old DVD player or computer monitor often makes its way into a trashcan. The same can be said with a big appliance such as a dishwasher or stove. Those also can be recycled in the best approach to take care of that would be to hire Junk King Orlando. This is a company that is all about recycling and size doesn’t matter to them. 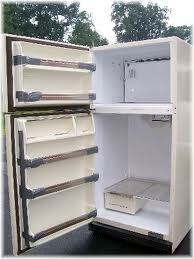 Often when you want to get rid of a big appliance it means it is either broken or you’re upgrading. In either of those scenarios, Junk King Orlando knows exactly what to do with that piece of equipment. It can be dropped off at one of the many recycling centers they have established a relationship with. It could also end up with a charity that specializes in refurbishing things like appliances and furniture. Either way, the goal is to find a way for it to be repurposed as opposed to merely dumped into a landfill. Along with your big appliance, that you want to get rid of you can also put that crew to work helping you clear out the rest of your unwanted clutter. You might identify one thing in every room in your house. Take good be an old sofa in the guest room or a recliner in the family room that need to go. There might be some worn out shoes in the bedroom closet and a set of free weights in the garage. All of that can be loaded onto the back of the truck in a single session. And all of that also has a chance to be donated or recycled. When you’re ready to get your stuff removed, all you have to do is click over to the Junk King website. They make scheduling easy and also offer a $30 savings you book online. All you need to be prepared with is the time and date that works best for your pickup. Remember, Junk King Orlando also works the weekends. Getting rid of your big appliance and unwanted rubbish has never been easier thanks to Junk King Orlando. This entry was posted in Orlando Appliance Removal and tagged big appliance, junk king, recycling on October 22, 2017 by Junk King. Last updated October 23, 2017 .